Modern facilities equipped with the latest technology and with first-class materials. With rooms adapted for guests with reduced mobility, smoking rooms and exclusive suites. All of this in a new building with functional facilities. A room with everything you need for a pleasant stay. Modern room with air-conditioning, free Wi-Fi connection and flat-screen TV. The en-suite bathroom includes toiletries and hairdryer. This large room is equipped with three beds, making it ideal for stays of three people. It is a comfortable room with air-conditioning, free Wi-Fi connection and flat screen TV. The en-suite bathroom includes hairdryer and toiletries. Ideal to spend a pleasant stay with the youngest ones in the family. In this spacious room you can also add a baby cot or an extra bed. This room has 1 extra bed and 1 baby cot or another extra bed can be added for a child of 12 years or under. A cosy and charming room decorated entirely with IKEA furniture, one of the world’s biggest home-decoration referents. Elegant room with a modern design that includes air-conditioning, free Wi-Fi connection and flat-screen TV. The en-suite bathroom includes toiletries and hairdryer. Ideal to share with your partner. 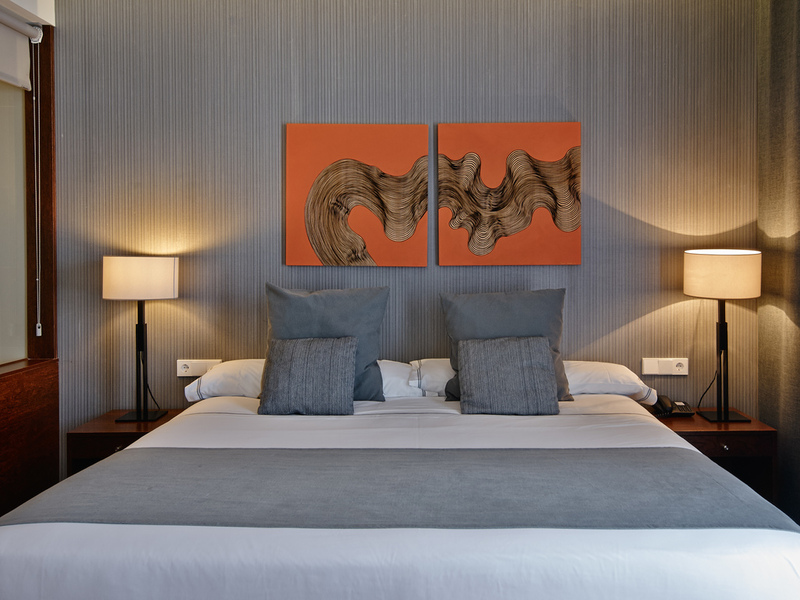 Large and bright room decorated in detail, equipped with all the services you need to make your stay a special one. These rooms include a welcome gift, a coffee/tea set and free minibar. They also include bathrobes and slippers. You can also check out until 2.00pm (subject to availability). Spacious and cosy room of the highest quality. It is structured in three different atmospheres: living space, terrace and bedroom. Maximum rest guaranteed. This room presents a modern decoration and includes a flat-screen TV with satellite channels and an en-suite bathroom with toiletries and hairdryer. Comfort, space and freedom to move around with maximum comfort. This room has everything you need for an unforgettable stay. 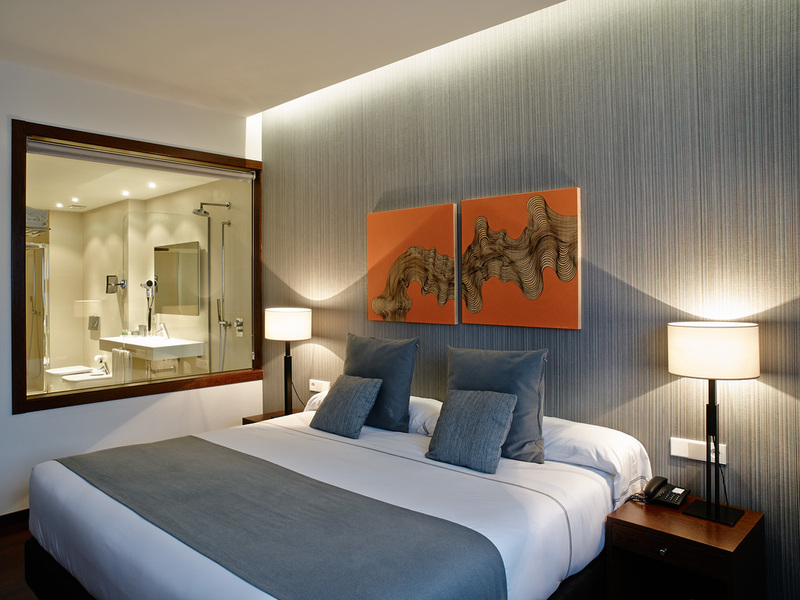 This modern and elegant suite includes flat-screen TV with satellite channels and an en-suite bathroom with toiletries and hairdryer. Our hotel has a gym and a free parking area, both reserved only for hotel clients. From 53€ per night - 113 rooms of 8 types. 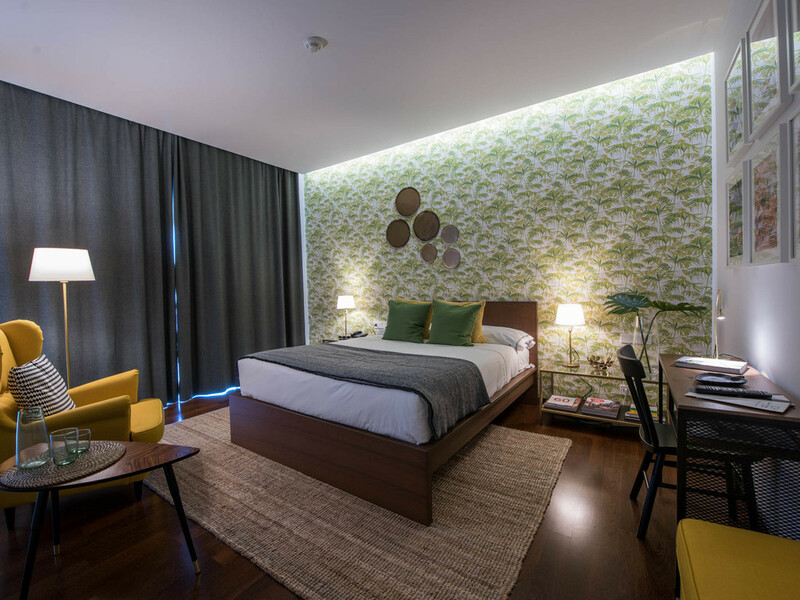 Large functional rooms that are perfect for short stays, offering guests everything they need for a peaceful night’s sleep in a calm and comfortable atmosphere. Extremely spacious, light-filled rooms featuring all kinds of special touches. Guests will receive a welcome gift, tea set and free minibar service. There are also robes and slippers and a late check-out service until 2 p.m. (subject to availability). Superb quality, spacious accommodation with a warm and welcoming atmosphere divided into three settings: a sitting area, terrace and bedroom. Guaranteed rest and relaxation. 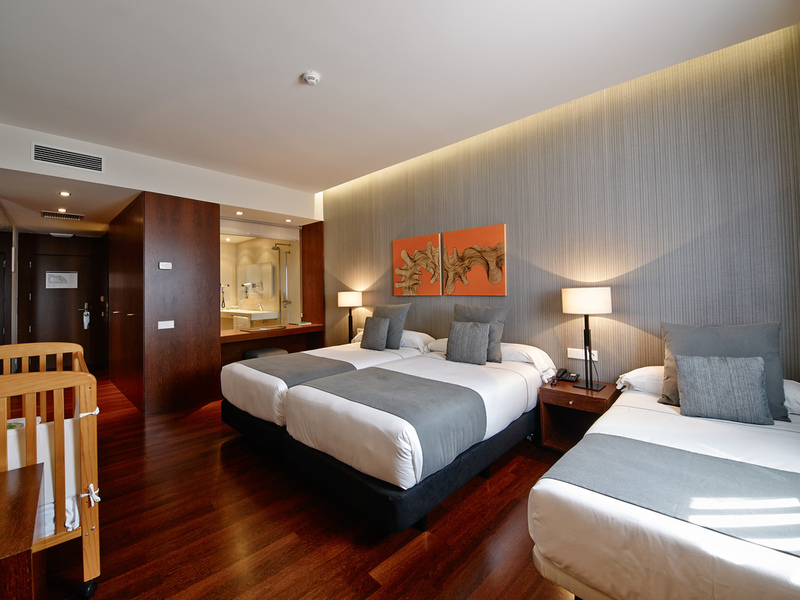 Spacious accommodation with two rooms separated by a small sitting area featuring Carrís’ hallmark décor. This is a warm and welcoming room decorated entirely with fittings and furniture by Ikea, one of the global leaders in the home décor sector, giving it a unique charm. Ideal rooms for enjoying a delightful stay with the kids. Large spaces that are great for adding a cot and an extra bed. 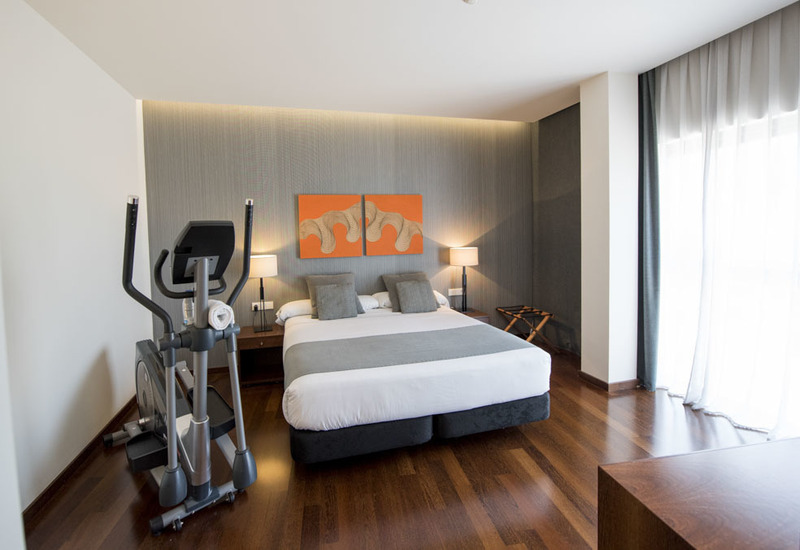 A spacious room, equipped with a cross trainer or an exercise bike so you can enjoy the convenience of exercising without having to leave your room. These rooms are designed for accommodating three people. The ample size of these rooms allows three beds to be fitted perfectly. The bathrooms are comfortable and spacious.